Useful for languages that use right to left scripts. Flipsnack offers support to clients that are using a right to left script language, such as: Arabic, Aramaic, Azeri, Dhivehi/Maldivian, Hebrew, Kurdish (Sorani), Persian/Farsi or Urdu. 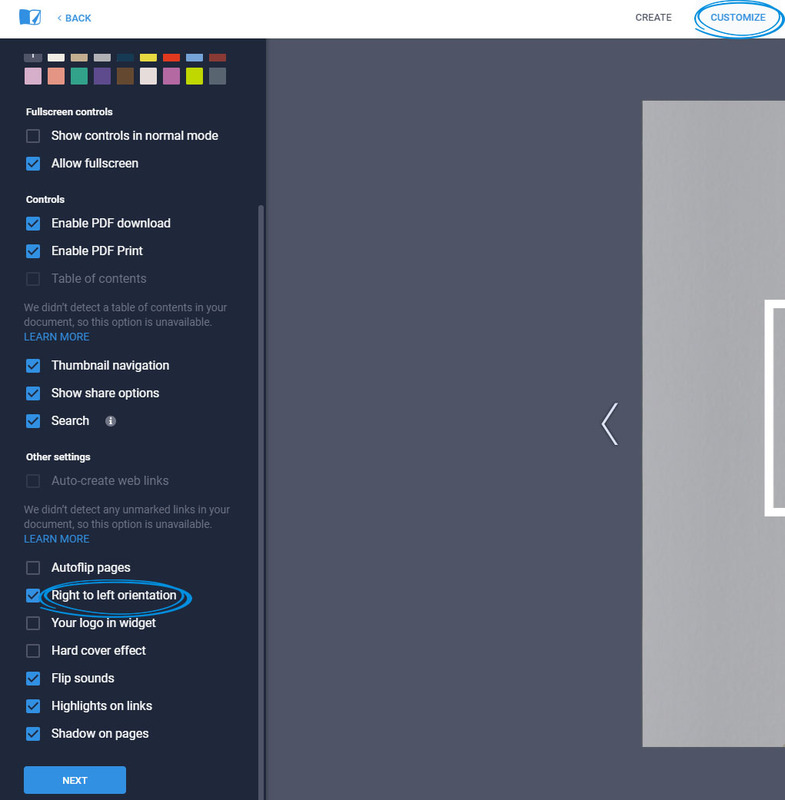 In order to change your flipbook's default orientation, when editing your flipbook, go to the Customize tab and check the Right to left orientation option. Here's an example of a flipbook that has a right to left orientation.